My name is Anne Zhou and I am a rising senior at Clear Lake High School. I am an active member of the math club and also play violin in the school orchestra. In my free time I like to read, play tennis, and learn new things. Math and programming are both favorite subjects of mine and I hope to continue studying them in college. 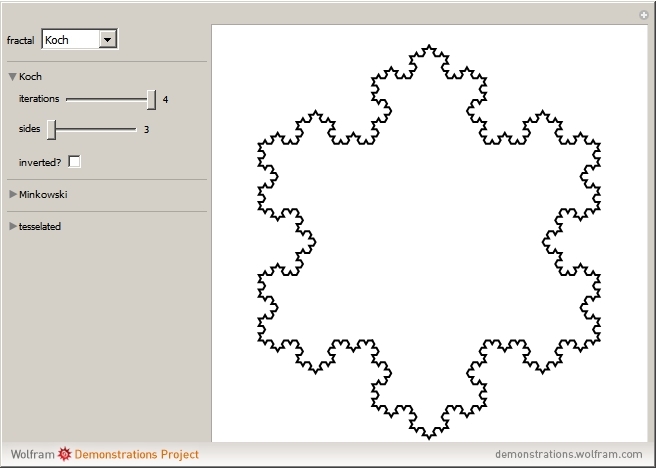 This Demonstration applies fractals to polygons with a varying number of sides. The Koch and Minkowski curves are applied to the edges of the polygon, while a third option creates an adjustable fractal out of the polygon itself.